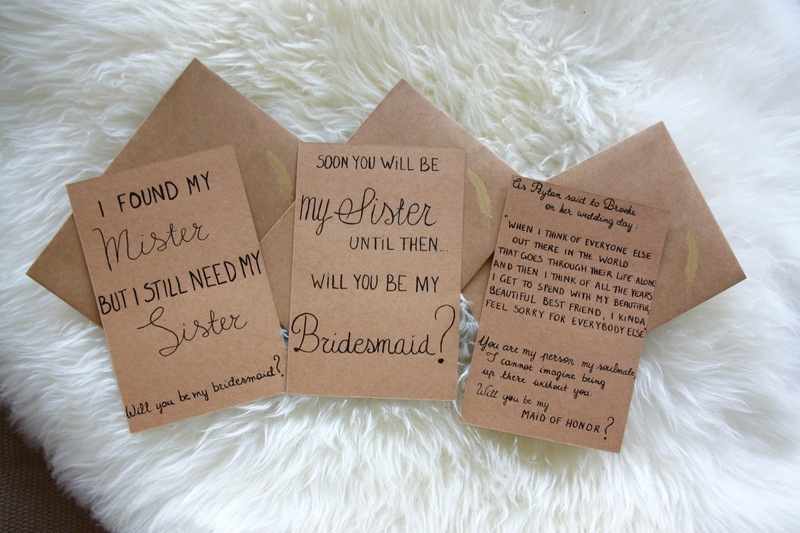 When we got engaged, I immediately knew who I wanted to be my bridesmaids : my bestie Nina, my sister Melanie and my soon-to-be sister-in-law Laure Anne. I also knew I wanted to 'propose' to them in an original way, with something they could have as a little keepsake. 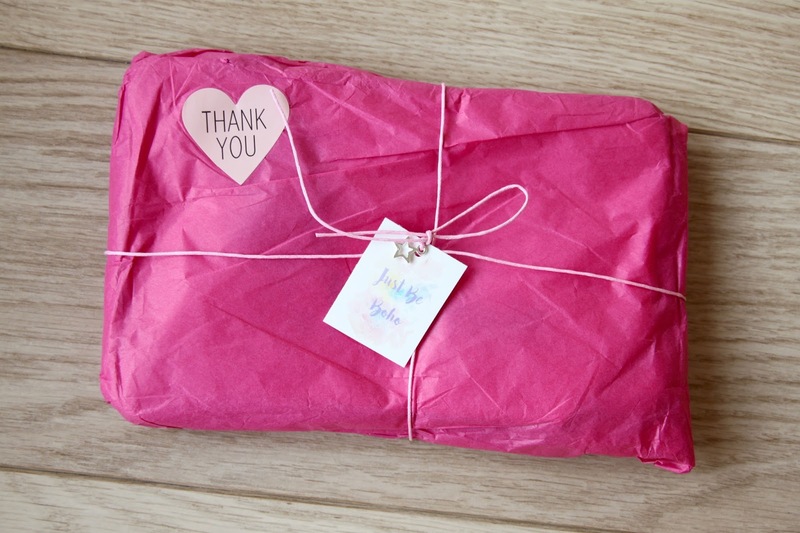 After some browsing on Etsy, I found this cute shop called Just Be Boho. 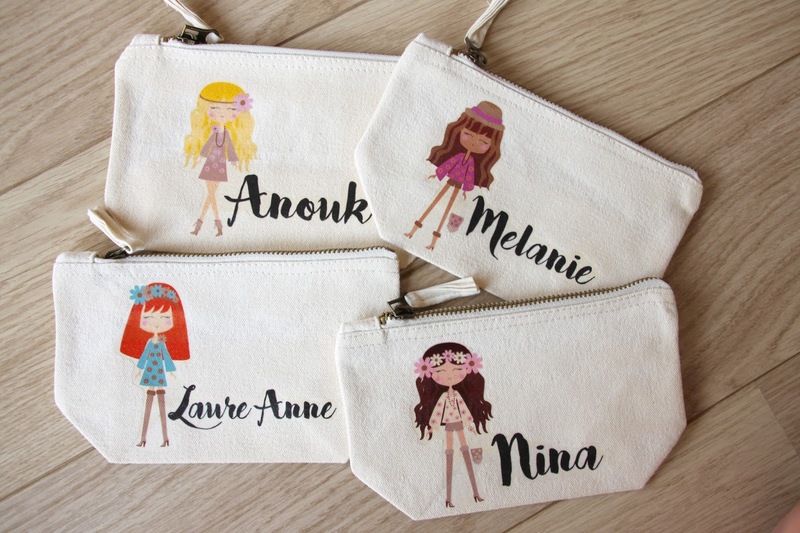 She makes personalized makeup bags with little cartoon girls on them, which I thought would be the perfect little token.The bags came about a week later and they are the perfect size to put in your handbag. The cartoons and names are ironed on and it honestly looks so cute. I'd 100% recommend these as a bridesmaid proposal gift or just any gift really. It's so fun to have a personalized pouch to put in your handbag. I also wrote them a little personalized card with the proposal on it.I'm so excited for all the planning and the fun times I'll have with my girls picking out things and going on my hen.